Simple homemade oatmeal cookie recipe makes thick, soft oatmeal cookies with chewy edges. 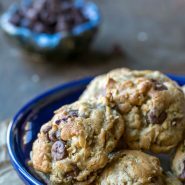 These easy chocolate chip oatmeal cookies are made in one bowl and are made with all brown sugar. CooCookies should be easy. 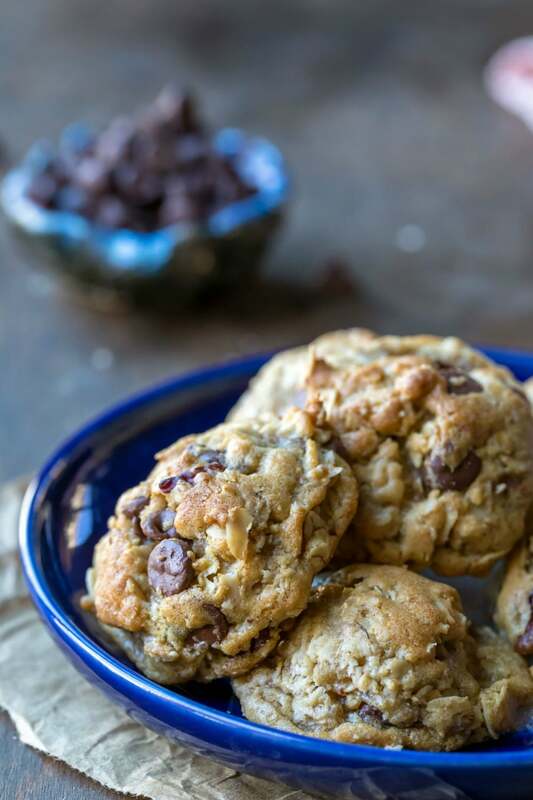 These easy chocolate chip oatmeal cookies are just that. Since the butter is melted, there’s no need to soften the butter before beginning. The cookies are also made right in the pan where the butter is melted, so there’s one less bowl to wash.
Can I chill the cookie dough? Yes, you can. The cookie pictured directly below on the left was baked without chilling the dough. The cookie on the right was baked after chilling the dough for about an hour. 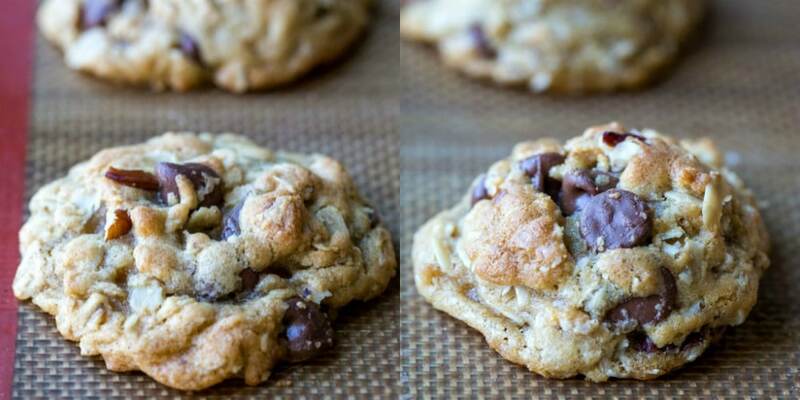 If you like a softer, thicker cookie, I’d suggest chilling the dough. If you like a thinner, chewier cookie, simply bake as directed in the instructions below. 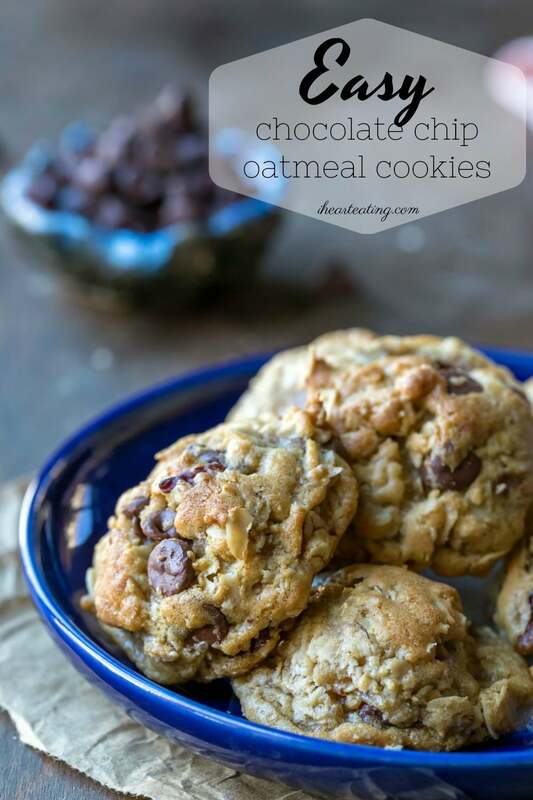 If you’ve tried this easy chocolate chip oatmeal cookie recipe, don’t forget to rate the recipe and leave me a comment below. I love to hear from people who’ve made my recipes! You can SUBSCRIBE to receive my latest recipe newsletters or FOLLOW ME on FACEBOOK, INSTAGRAM and PINTEREST for even more delicious food. 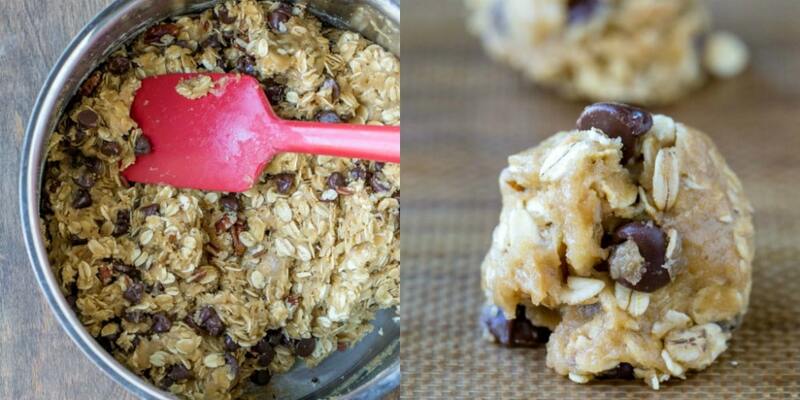 Easy chocolate chip oatmeal cookie recipe that can be made in one-bowl. Add brown sugar to the saucepan. 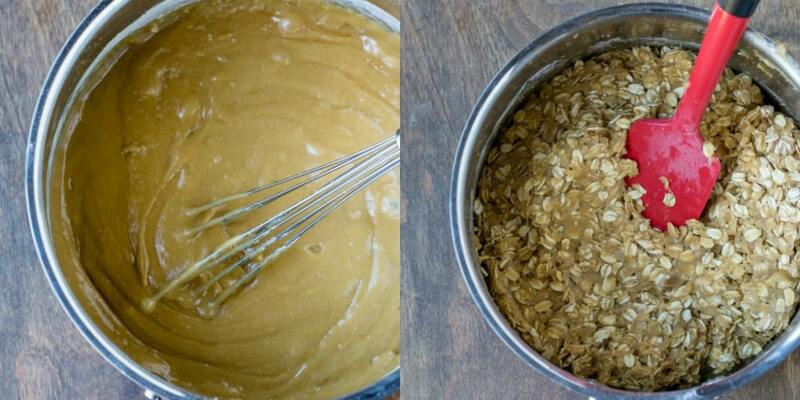 Stir in oats until just combined. Add chocolate chips and nuts, if using, and stir in. *I suggest mixing the dough by hand. This recipe is great! the cookies have more flavor than my usual recipe. Thanks!